As the final hours of 2013 elapse, we pause to remember two great friends that passed away in 2013: Bill Eppridge and John Dominis, along with so many other truly great photographers. We are grateful that our lives have made it possible to know, or to have known, so many great photographers personally in our careers, and their humanistic photography and kind hearts have informed us in both our personal and professional lives. 2013 has once again affirmed our steadfast belief in the power of a photograph. To all of the photographers out there, past and present, we honor your commitment and service to humanity. We are so very thankful to all who have visited the gallery and our booths at art fairs this year (we'll be in booth #302 at photo la 2014 January 16 - 19). In a small way, this our "thank you" for 2013. We wish you the very best in 2014. It is with great sadness that we have learned that LIFE photographer, John Dominis, passed away Sunday, Dec. 29, 2013 after a long illness. Obituaries and tributes below. “LIFE magazine was a great success. If a man hadn't seen a picture of a native in New Guinea, well, we brought him a picture of a native of New Guinea. We went into the homes of princes and Presidents and showed the public how they lived. The great thing about working with LIFE," says Dominis, "was that I was given all the support and money and time, whatever was required, to do almost any kind of work I wanted to do, anywhere in the world. It was like having a grant, a Guggenheim grant, but permanently." In the spring of 1963, Steve McQueen was on the brink of superstardom, already popular from his big-screen breakout as one of The Magnificent Seven and just a couple months away from entering the Badass Hall of Fame with the release of The Great Escape. Intrigued by his dramatic backstory and his off-screen exploits — McQueen was a reformed delinquent who got his thrills racing cars and motorcycles — LIFE sent photographer John Dominis to California to hang out with the 33-year-old actor and see what he could get. Three weeks and more than 40 rolls of film later, Dominis had captured some astonishingly intimate and iconic images, photos impossible to imagine in today's restricted-access celebrity world. Trailing Steve McQueen was Dominis' first Hollywood gig. "I liked the movies, but I didn't know who the stars were; I was not a movie buff," Dominis, now in his nineties, told LIFE.com. But he got the assignment because he and McQueen shared one vital passion point. "When I was living in Hong Kong I had a sports car and I raced it," Dominis says. "And I knew that Steve McQueen had a racing car. I rented one anticipating that we might do something with them. He was in a motorcycle race out in the desert, so I went out there in my car and met him, and I say, 'You wanna try my car?'" Later the two of them would zip around Los Angeles, including Sunset Boulevard (pictured). "We went pretty fast — I mean, as fast as you can safely go without getting arrested — and we'd ride and then stop and trade cars. He liked that, and I knew he liked it. I guess that was the first thing that softened him." From early morning until late at night, Dominis followed McQueen through his action-packed days — camping with his buddies, racing his various vehicles, playing with his family, tooling around Hollywood. Even back then, Dominis says, he had to be mindful that his constant presence did not become irritating. "Movie stars, they weren't used to giving up a lot of time — in fact they didn't like to give up hardly ANY time," he says. "But I sort of relaxed in the beginning and didn't bother them every time they turned around, and they began to get used to me being there. If they were doing something, they would definitely just not notice me anymore." “LIFE magazine was a great success..."
New Mexico’s state museums manage, despite tight budgets and many demands, to continually engage their audience. That’s true for homegrown exhibits such as Cowboys Real and Imagined, now at the New Mexico History Museum, or New World Cuisine: The Histories of Chocolate, Mate y Más, at the Museum of International Folk Art, or Here Now and Always, at the Museum of Indian Arts and Culture. Then there are those inviting traveling exhibits. Who can forget the exquisite, hand-lettered exhibit featuring the St. John’s Bible, treasures from the court of Czar Nicholas or Gee’s Bends quilts, all of which have spent time in New Mexico? Joining those stellar exhibitions starting Saturday is an exhibit featuring Spanish works — Renaissance to Goya: prints and drawings from Spain, at the New Mexico Museum of Art. New Mexico is fortunate indeed to be the only location in the United States to exhibit this collection of drawings and prints — created at the British Museum and seen in Spain and Australia. Its chief attraction, naturally, is the opportunity to see work by the master Francisco de Goya. An Australian reviewer wrote, “Renaissance To Goya is stunning, packing that unique graphic punch across themes of religion, daily life, myth and — in the case of Goya — social commentary and insanity.” Museum director Mary Kershaw is to be congratulated for bringing the exhibition to Santa Fe. It’s an opportunity not just to see great works on paper, but to revisit what had been a settled question in art and discover new answers. For whatever reason, the Spanish were not considered to excel at drawing in comparison with Flemish and Italian masters. This exhibition, gathering a range of drawings and prints from all across Spain from 1662 until the death of Goya in 1828, shows masters at work, presenting a rich body of pieces that encompasses religion and changing Spanish society. Many of these works haven’t been displayed — the British Museum is so rich in collections that exhibition curator Mark McDonald pulled these from the vaults. The previous view by some, that Spanish artists excelled more in color and painting, but not drawing, can be set aside. Until March, New Mexicans and other visitors (we trust both the city and the state are promoting the exhibition to travelers) will have the chance to gaze upon a Goya, and wince for themselves. For New Mexicans, to see work made in Spain is particularly relevant. By 1662, when the exhibit opens, the settlers who had left Spain for Mexico and then traveled north to what is now New Mexico, had begun to put down roots in this new land. These great works are made by the contemporaries of the colonists; the beginnings of our own Spanish Colonial art tradition are linked to those artists of the mother country. This exhibition, in other words, will show New Mexicans more about their own origins, making it an even more essential offering. It is not to be missed. A collection of the lavish and iconic gowns of Christian Dior, from the 1950s and ’60s, captured by the legendary photographer Mark Shaw. Iconic photographer Mark Shaw documented the ultra-exclusive Parisian fashion world, focusing on Paris’s long-standing top couturier Christian Dior. Shaw’s photographs—some of the first fashion photographs ever shot in color—capture the most stunning and extraordinary fashion of the era. This lavish volume embodies the glamour of that time, from rare moments of Christian Dior during fittings to editorial-style photographs of models, socialites, and actresses posing in Dior’s ballgowns, day suits, and haute couture collections. Shaw’s photojournalistic style changed fashion photography forever: his approach was to photograph wide, giving the subject a sense of context, creating an environment as exquisitely transformative as the subject and garment. With an eye for intimacy and opulence, this book features more than 200 color and black-and-white photographs, many never published before, having only recently been found in a secret vault by his estate. Dior Glamour: 1952–1962 captures the drama and elegance of the period’s style and will be treasured by lovers of photography, fashion, style, history, and cultured living. The Telegraph "Best Photography Books of 2013": "Dior: Glamour, 1952-62 shows off Mark Shaw’s photographs from the iconic fashion house, including some of the first fashion shots in colour." For information on Mark Shaw's photography prints, please contact the gallery. How do images become placeholders for historic moments? What happens in the brain when images are no longer pictures, but rather icons loaded with emotion or politics? How is meaning-making changing as our world is increasingly flooded with images? This multi-media discussion event features short presentations by a panel of artists, journalists, and visual critics followed by a lively conversation about the ways that images (or the lack thereof) shape perception. Panelists include Nina Elder, Claudia X. Valdes, Dr. Khristaan Villela and others. Born on December 6, 1898 in West Prussia, Alfred Eisenstaedt received an Eastman Kodak Folding Camera when he was 14. Renowned as the father of modern photojournalism, Eisenstaedt’s career as a preeminent photojournalist spanned eight decades. “Eisie”, as he preferred to be called, began taking photographs in Germany in 1914. As a pioneer in his field, “Eisie” had few rules to follow. Diminutive in stature, he worked with minimal equipment and was known for an aggressive yet invisible style of working. Regarded as an innovator of available light photography, Eisenstaedt dispensed with flash photography early on in order to preserve the ambiance of natural lighting. He photographed throughout Europe, Africa, and the Middle East until he came to LIFE magazine in 1936. As one of the four original staff photographers for LIFE, “Eisie” covered over 2,500 assignments and created 86 covers for the magazine. Acknowledged as one of the most published photojournalists in the world, he took photographs at the first meeting of Hitler and Mussolini, of Albert Einstein teaching at Princeton, Churchill’s campaign and re-election, children at a puppet theater in Paris, Marilyn Monroe at home, and hundreds of other significant people and events around the world. He was an editor’s dream, and his work had what became known as “Eisie’s eye”. Portrait assignments became his specialty, and in the process he accumulated many little-known secrets about his subjects. 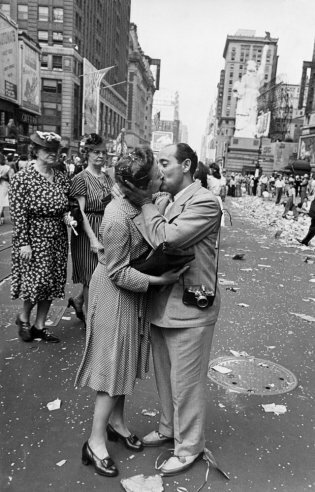 It is unlikely that anyone could have lived during the last 60 years without having been exposed to the photographs of Alfred Eisenstaedt. “Eisie” worked almost ceaselessly until his death in 1995, even photographing President Clinton and Family in 1993. Alfred Eisenstaedt possessed the unique talent to capture a story in a single, tell-all moment. The photographer’s job, he once wrote, “is to find and catch the storytelling moment.” “Eisie” received awards and recognition far too numerous to list. 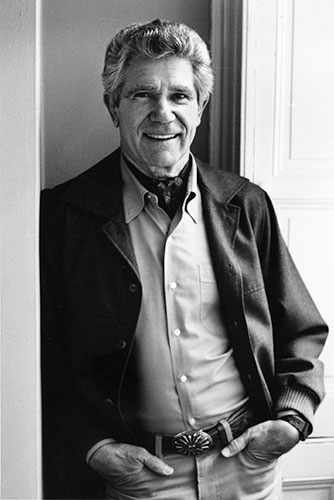 His photographs have been exhibited in prestigious museums and galleries throughout the world and are in the permanent collections of many important art institutions. Several of his acclaimed photographs are featured in "The Great LIFE Photographers" exhibition at Monroe Gallery of Photography, Santa Fe, through Januray 26, 2014. Los Angeles, CA, photo l.a. (www.photola.com), the longstanding photographic art exposition, is proud to announce its 23rd edition in a new location: downtown at one of the most distinctive venues in Los Angeles - the historic LA Mart (1933 Broadway, Los Angeles, CA 90007) built in 1958. photo l.a. is joining the massive celebration of the arts throughout the downtown area, where the L.A. Art Show and a large number of popular galleries will all be working in unison to drive a massive collaboration of the arts downtown precisely for the weekend of photo l.a.’s exposition. photo l.a. was the first, and is the longest running photographic art fair in Los Angeles. Beginning at Butterfield’s Auction House, then moving to the Barker Hanger and the Santa Monica Civic Auditorium, photo l.a. has always been a destination event. Celebrating its 23rd year, photo l.a. 2014 is moving to the artistic hub that is now downtown Los Angeles, at the LA Mart building. photo l.a. is excited to be a part of the growth of downtown L.A.’s artistic expansion along with major art establishments like the new Broad Museum, The Geffen Contemporary, MOCA, and the Japanese American National and Chinese American Museums, along with many new contemporary galleries. photo l.a. is connecting with this specific area to present a phenomenal art experience in 2014. From January 16-19th, 2014, photo l.a. will present its widest collaboration of photography yet, exhibiting works dating from the 19th century, up through the most cutting edge contemporary photo-based art in LA Mart’s massive 60,000 square foot Exhibition Hall. photo l.a. 2014 will continue its celebration of the photographic arts, both through the exhibition of internationally renowned galleries and as a platform for education and discussion. Known for its excellent programing, photo l.a. will once again spearhead a unique series of lectures, roundtable discussions and docent tours as a valuable supplement to our exhibitions. photo l.a. 2014 will combine the photography and arts communities under one roof, truly raising the bar for both the cultural and collecting experiences in Los Angeles. This vast collection, along with a variety of outstanding programming and installations, promises an impressive 23rd edition of the fair. Monroe Gallery of Photographjy will exhibitiong at photo la 2014. 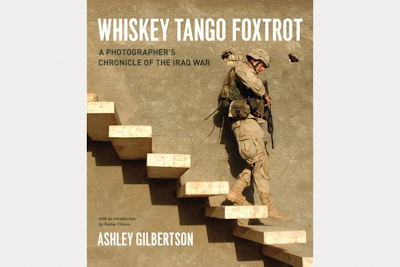 For a discussion about war reporting, VII photographer Ashley Gilbertson will speak with VICE’s Rocco Castoro about his book Whiskey Tango Foxtrot, hosted by the Brooklyn Brewery. Gilbertson’s book is a collection of images taken over the course of four years in Iraq. The book charts path of Iraq from the post-invasion excitement to the extreme violence that later occurred in the country.